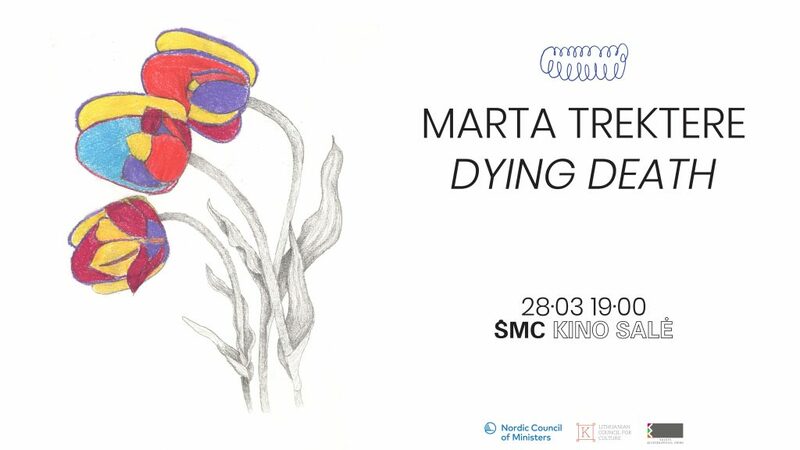 Rupert kindly invites you to a premiere of Dying Death, a debut short film by Latvian artist Marta Trektere. The screening will take place on March 28th, at the CAC cinema hall (Vokiečių str. 2) from 7pm. In Dying Death, Marta Trektere treats the video format as the means through which the artist’s performance is reproduced and re-presented in her absence. The film was developed during Marta Trektere’s residency at Rupert. The event will include a short introduction by the artist on the history of ASMR ( autonomous sensory meridian response) and will be held in English. Light refreshments will be served. Entrance is free and open to the public. To experience ourselves as fully alive we have all sorts of arousal requirements whether emotional, spiritual or superficial. ASMR is a curious phenomenon that has not yet been scientifically researched. It is usually described as tingling sensation in the back of the head or neck, or other areas of the body. Dying Death is an autonomous sensory meridian response (ASMR) video. It speculates about the physical, mental and social arousal elements and requirements for the human brain and how it works on dreams and stimuli of a human being. The video work is a conversation where the questions ‘is it better not to have happiness and to be in a state of desperately wanting happiness?’ and ‘or is it better to be in state of not caring that you’re not happy?’ might be answered or not. Marta Trektere (b. 1994) is a performance artist, writer and an independent curator based Riga, Latvia. Currently co-running the artist-run space 427 gallery in Riga. Trektere has studied German Language in the Latvian Academy of Culture and University of Latvia. Trektere’s works address the simplicity of complexity in everyday life as well as psychological difficulties in life, art and text working with various media like performance, text, video, sound. Recent performances include Painless Youth, Editorial, Vilnius, Lithuania (2019); Posh Spaz, kim? CAC, Riga, Latvia (2019); Fragile Trap, Bunkier Sztuki, Krakow, Poland (2018); Suckling Animal Sibling in collaboration with Anni Puolakka kim? CAC Riga, Latvia (2018); Variations on Vulnerability, BOZAR Brussels (2018) Baltic Interior, BOZAR, Brussels (2018); Everybody Reads collaboration with Valentinas Klimašauskas, kim? CAC Riga, Latvia (2018) among other. Poster by Marta Trektere and Kaspars Groševs. Rupert’s programmes are kindly supported by Lithuanian Culture Council. Marta Trektere’s residency and project is kindly supported Nordic Culture Point.